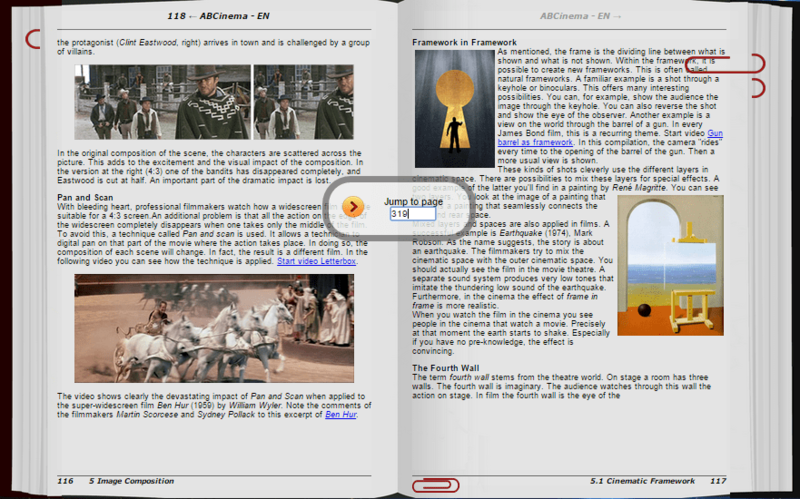 ABCinema is very user friendly. You don’t have to be a computer expert to get started. 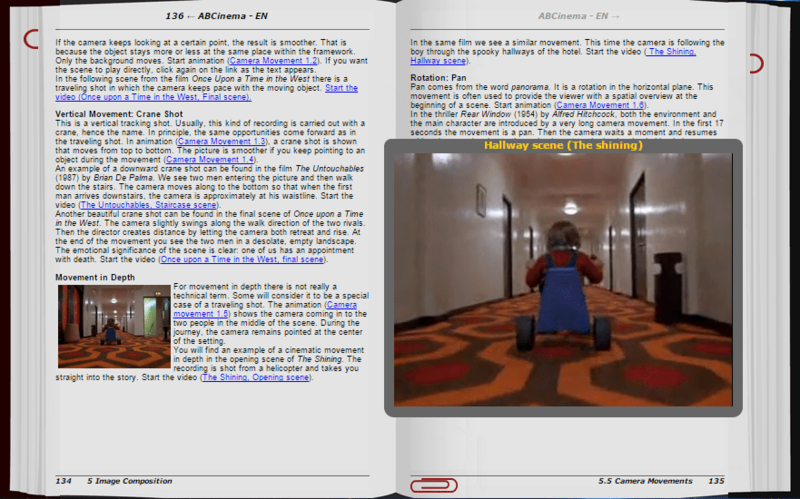 ABCinema works on any device with a browser: A PC, a Mac, a laptop, an Android tablet and on an iPad. The following pictures will give you a global overview of how easy ABCinema functions. If you would like to know more about the settings and the registration process, click here. Hover with your mouse on the tooltip numbers below to get an explanation. By clicking the page number (see tooltip 3), a page box pops up. You can jump directly to page 319 for example. By clicking on the paperclip, you can mark the page. A paperclip will be placed (at tooltip 6). That way you can easily find it back. By clicking on the paperclip at tooltip 5, you can mark the page. A paperclip will be placed here. That way you can easily find it back. By clicking here on the chapter title you can quickly jump to the former or next chapter. Subscribe to our newsletter and get inspired.